While “skeleton racing” doesn’t involve skeletons, it’s a pretty apt name for what looks like a terrifying winter sport. Racers make use of their entire body to race down an icy track, using a sled. 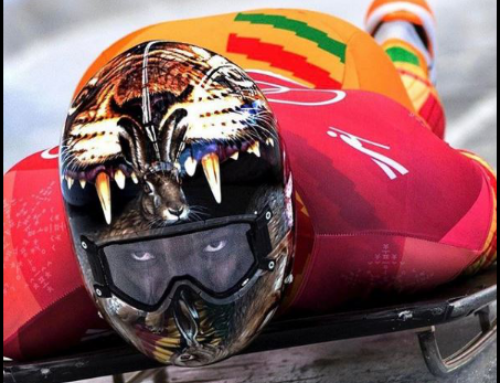 When Akwasi Frimpong became the first Ghanaian skeleton racer to participate in the winter Olympics, more and more people around the world become curious about this mystery sport. Is it safe? 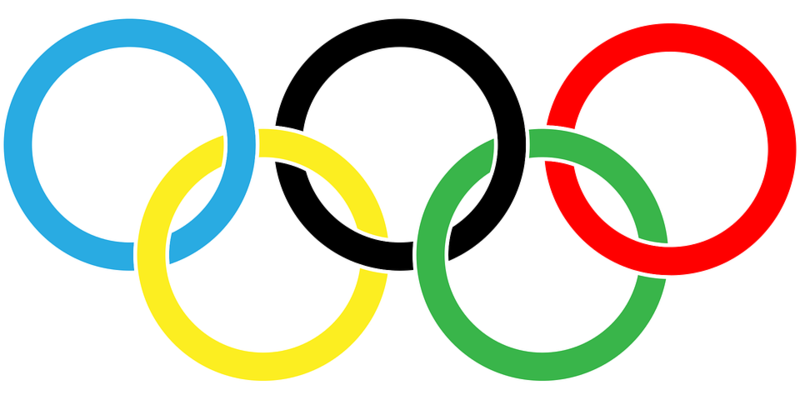 How long does it take to train to become a skeleton racer? 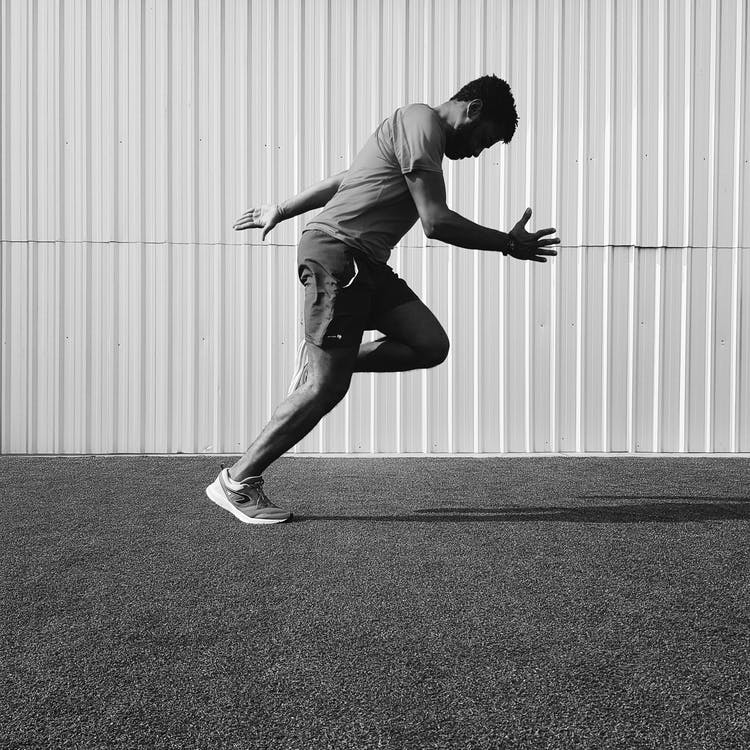 What safety precautions do athletes take? Is it similar to luge? 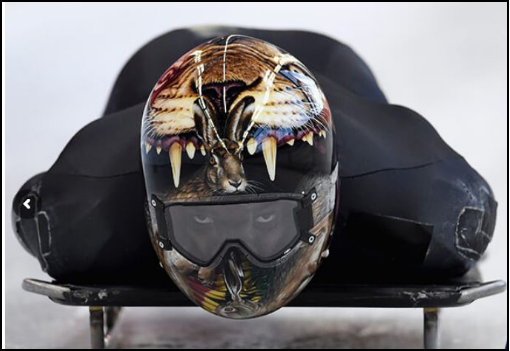 Let’s take a look at what skeleton racing is and list a few facts that help answer all these confusing questions! Are you confused between the two? Let’s look at the similarities and differences. Both sports require racers to race down an ice track. Both are sports that require one person. But there’s one slight difference between them: skeleton racing involves the racer racing down headfirst. This means they use their face and feet to race. Another difference is in the sleds used. 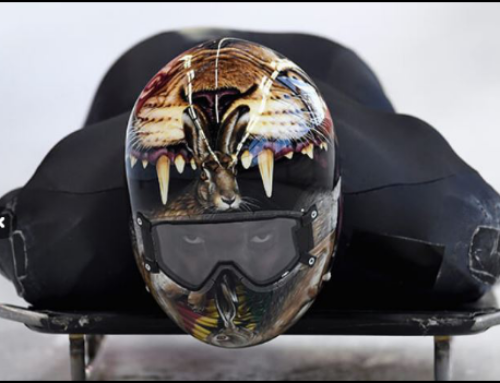 A skeleton sled weighs seventy pounds and is built using carbon fiber. This means that the racer has to use their body to steer the sled down the track. But both sports require using a helmet for safety measures. Of course, Akwasi makes it look effortless, but that doesn’t mean it is! Everything is about precise calculation. 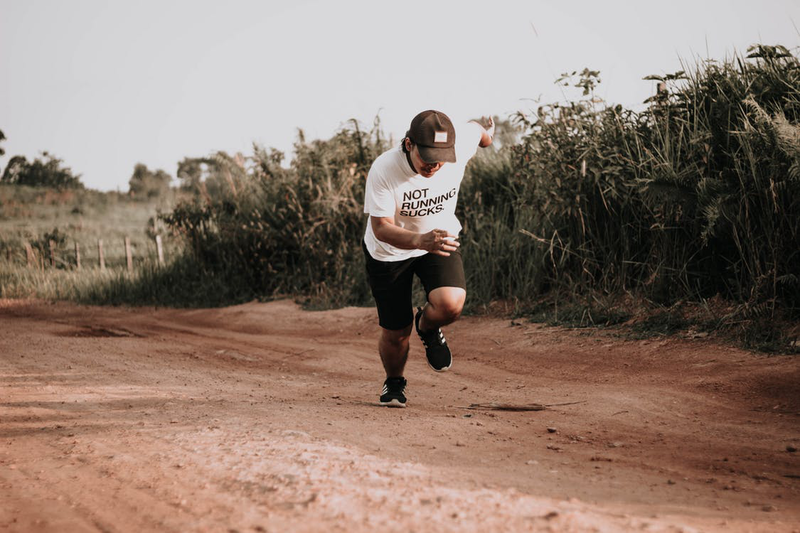 You need to get a running start of about 50 meters before you jump onto the sled. Your speed is also extremely important if you want to win the race. You’ll have to build momentum as you go; even a slight miscalculation can slow you down. 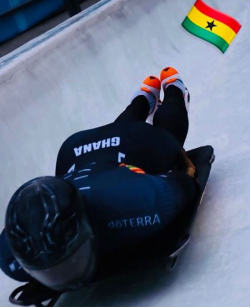 The only thing that’s simple about skeleton racing is that you have to cross the finish line to win. 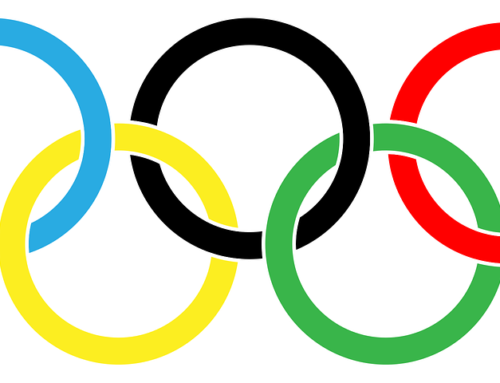 Unlike figure skating and basketball, there isn’t a scoring system. You just have to be faster than your competition. The type of start you have makes all the difference. If you’re slow in the beginning but fast at the end, you’re guaranteed to lose. You need to be consistent and speed things up as you go. 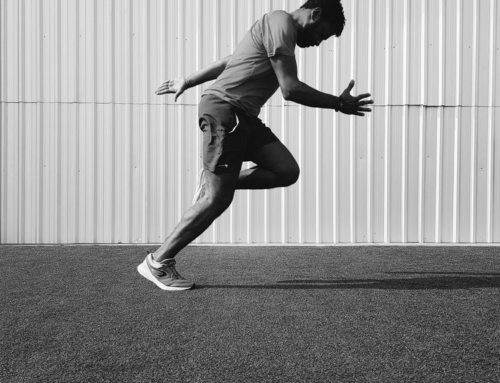 It takes athletes years of practice to master maneuvering their sled. 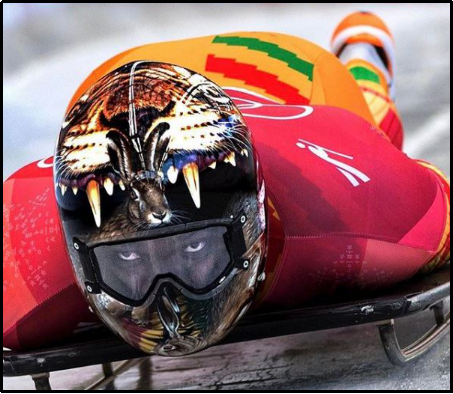 Akwasi has earned a reputation for his speed and strength; he’s already excelled as a sprinter and a bobsled racer, however, he continues to push himself as an athlete and is determined to bring Gold for Ghana one way or another!